the Mobius Bionics team brings together extensive experience in delivering pioneering medical technologies to market. 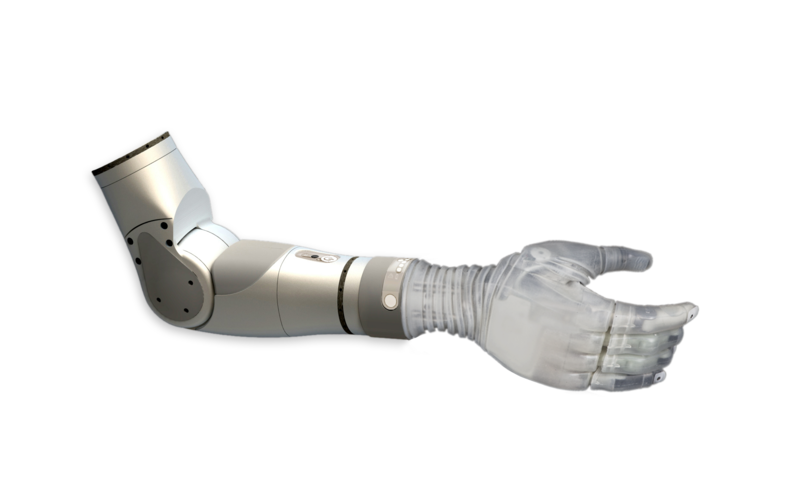 The LUKE arm is a modular prosthetic arm that is configurable for different levels of amputation including transradial, transhumeral, and shoulder disarticulation. The LUKE arm has a flexible control system that allows the arm to be controlled by a variety of input devices, including most industry-standard inputs. The LUKE arm provides resistance against light rain and fine dust, allowing wearers peace of mind when using the arm outside the home. The shoulder configuration allows you to simply decide which way to move the hand in space. 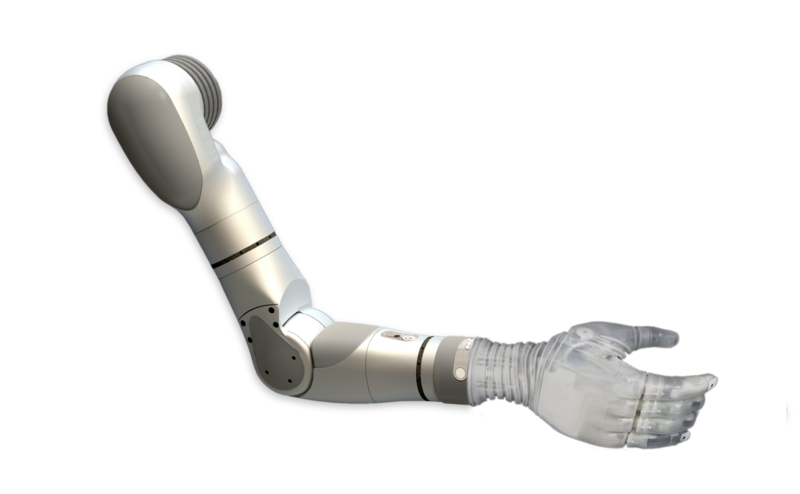 On command from the user, the arm moves multiple joints simultaneously to accomplish the desired motion of the hand. 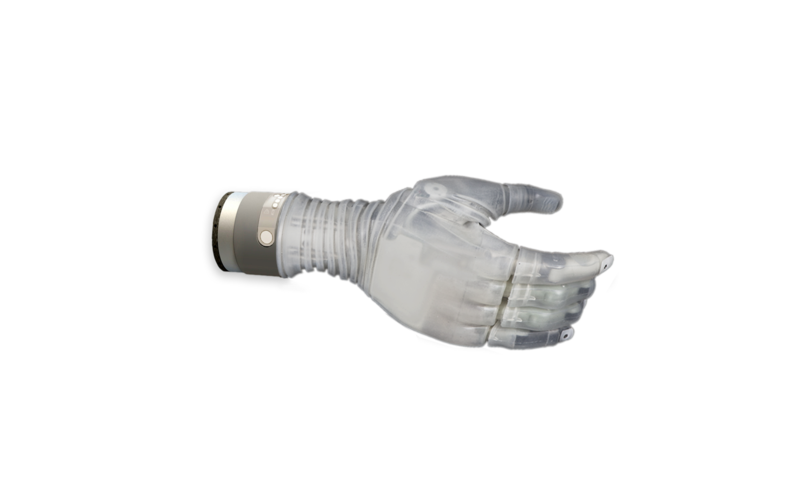 The LUKE arm features multiple pre-programmed grip patterns that can be used in many ways to perform activities of daily living. 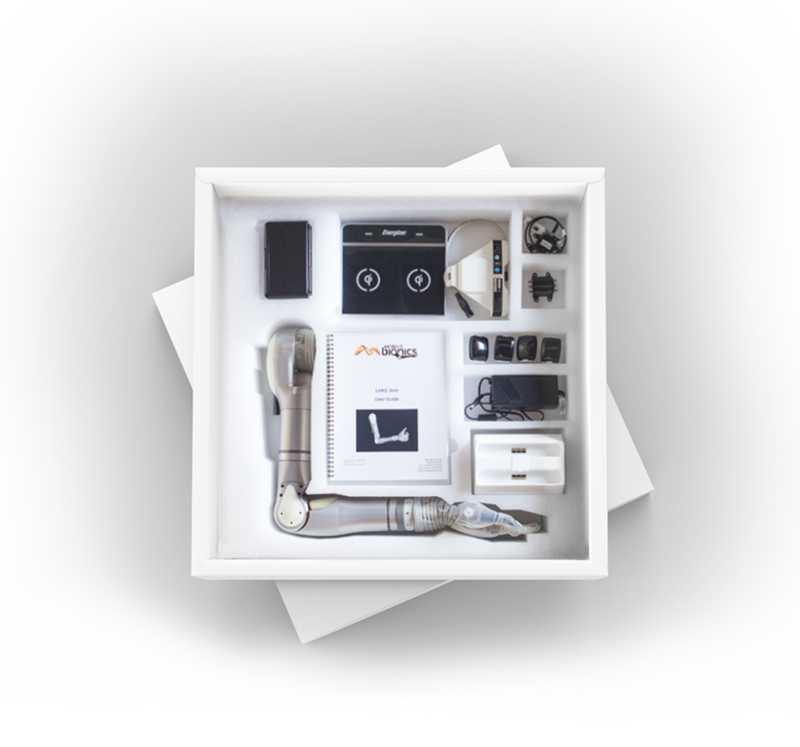 The LUKE arm, in any of its three configurations, comes packaged as a fully-integrated system, ready-to-go out of the box for fitting by a certified prosthetist. “The biggest thing is food prep. Just being able to even peel a potato for crying out loud. Food prep was huge.